Howell-Oregon Electric Cooperative's mission is "to be a leader in delivering cost efficient reliable energy with value-added service to its member-owners." This section of our web site contains information about the services available to you as a HOEC member, which you can navigate using the drop-down "Services" menu above. 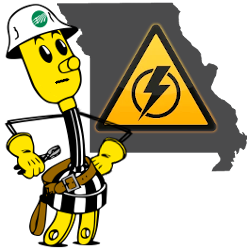 Whatever you may be looking for - whether it is information on setting up new electrical service, or products available to you from the Cooperative like water heaters, outdoor lighting, and emergency weather radios - it's probably right here. You'll also find details for great rebates which can put some of your hard-earned money back in your pocket; these include rebates for your purchase of energy-efficient water heaters, dual fuel heat pumps, ground source heat pumps, and mini-split heating systems. If you are really looking to maximize your energy savings, consider having a home energy audit performed; you can then qualify for partial reimbursement for suggested improvements that you implement through the weatherization rebate. HOEC's Member Services staff are also available to help you anytime you have questions or concerns... give us a call at 417-256-2131 or toll-free at 1-888-HOE-POWER and let us know how we can be of service to you.